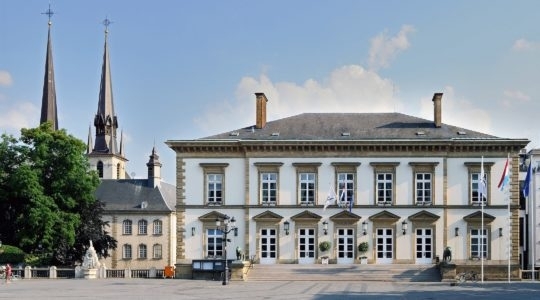 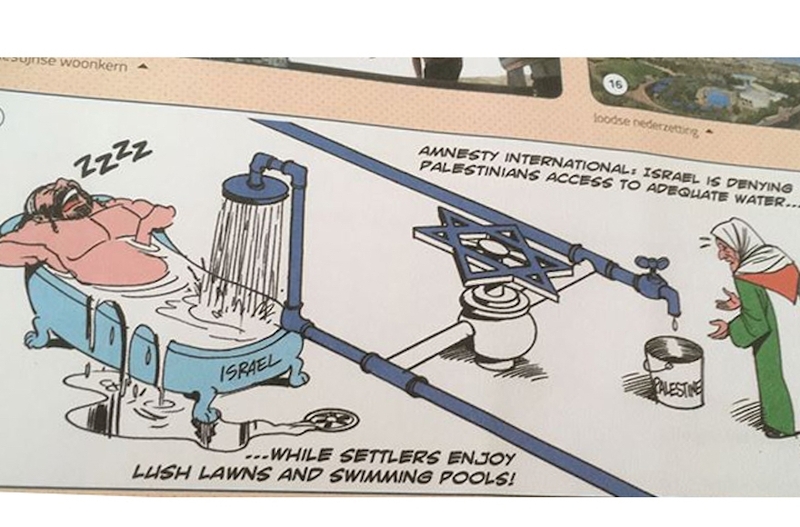 (JTA) — Amnesty International distanced itself from a caricature in a Belgian schoolbook ostensibly meant to illustrate its allegations that Israel is denying Palestinians fair access to water. The illustration in the 2016 geography textbook “Polaris GO!3” for Flemish-speaking high school students depicts a beefy Orthodox Jewish settler lolling in an overflowing bathtub, while a Palestinian woman can barely fill her bucket. The cartoon is by the Brazilian artist Latuff, who often compares Israel to Nazi Germany in his works.